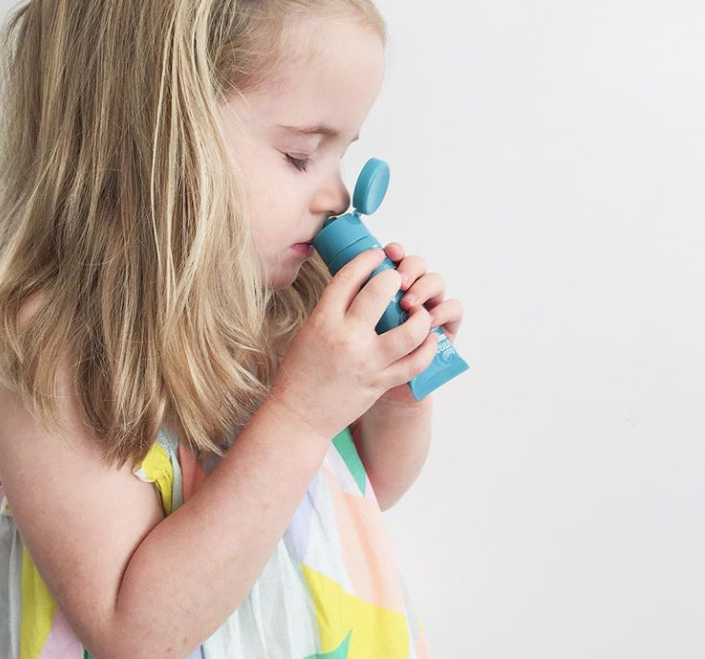 Why Use Baby Vapour Balms? Those annoying little sniffles, nasty colds and flus are a common occurrence especially in babies and children. We naturally turn to using well-known remedies like baby vapour balms and rubs to help alleviate symptoms such as coughs and runny noses. We rub them onto our children’s skin (and our own) throughout the day and night in order to soothe and protect them. So, Which Vapour Balms Should You Use? Unfortunately, it is common practice for many people to use traditional vapour rubs which have a heavy petroleum base, however we now know that there is the potential for nasty chemicals to be absorbed into the body via the skin. 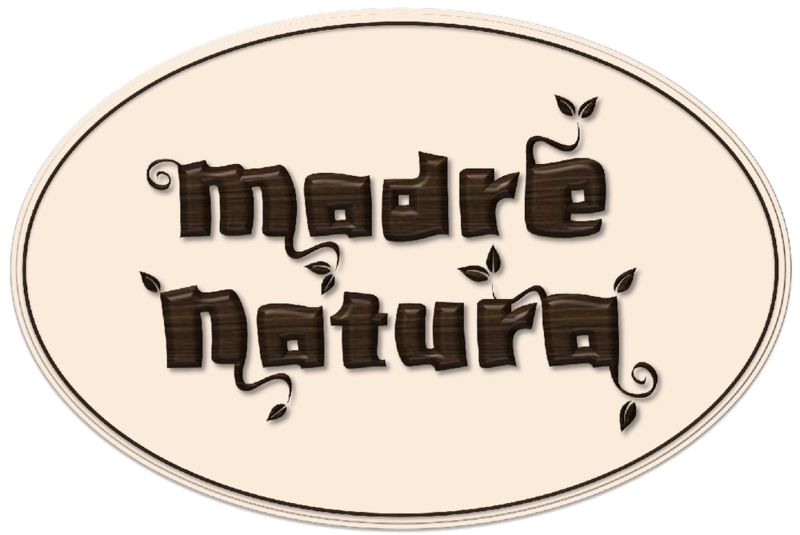 It’s a popular practice to use these rubs on the chest, back, neck, feet and also under the nose, which means quite a bit of product is being used around the body at any one time. 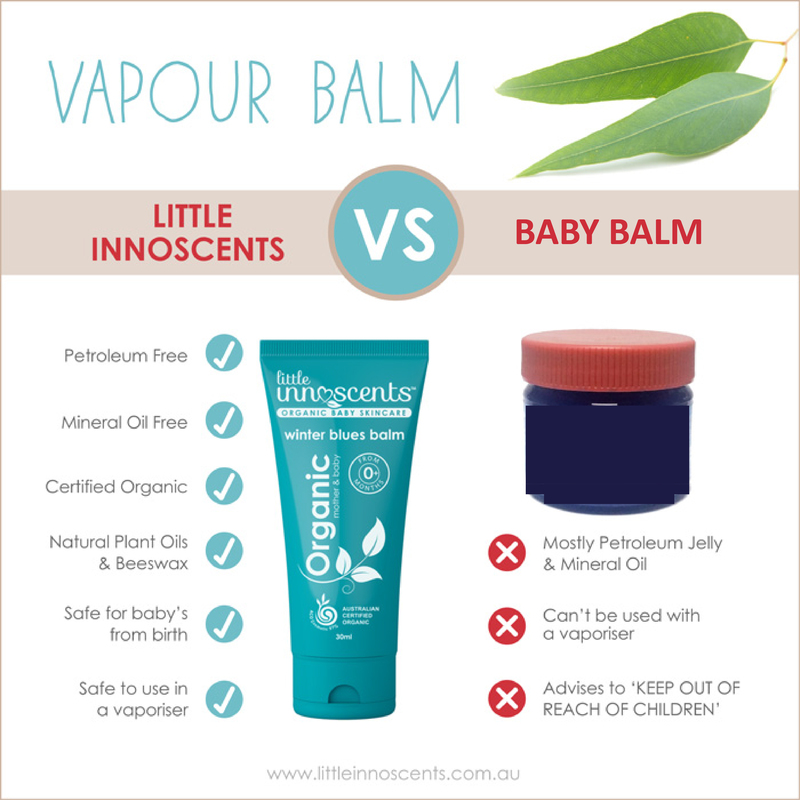 The Little Innoscents Vapour Balm is completely free from nasty petrochemicals like petroleum and mineral oil, so it’s safe to use from birth on delicate newborn skin. Instead, it is made from natural Beeswax, Certified Organic Shea Butter and infused with essential oils of Spearmint, Lemon, Eucalyptus and Rosemary. Our fresh and zesty balm absorbs gently into the skin to melt away discomfort and restlessness. It’s time to throw out the greasy salve lurking in your bathroom cabinet and say hello to the Little Innoscents Winter Blues Balm Vapour Balm.